Our hearts and doors are open -- we have a seat waiting for you! ​Sunday Worship Service Time at St. James is 8:30 am. with Holy Eucharist, Rite II, and piano or organ accompaniment. ﻿We are a Christ centered congregation located in the heart of historic Bristol Borough, Pennsylvania. Whether you live in the Bristol area, are visiting from out of town, perhaps searching for a church home, or are simply curious, we are pleased to welcome you. Our parish is made up of people and families of all shapes and sizes. We are friends and neighbors, newcomers and old-timers, young and not-so-young, from many backgrounds. We come together to worship, serve, and to grow as Christ's people. 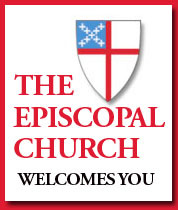 As an Episcopal church, we are part of the Episcopal Diocese of Pennsylvania, as well as the National Episcopal Church and the worldwide Anglican Communion. We welcome you, wherever you may find yourself on your journey of faith. Pay us a visit. We'd love to meet you!